Not bad for a 50 year old pot. Awhile back, I bought a set of vintage Dansk enamel cookware from a thrift store for $10 a pot. Since I use them all the time, they have gotten pretty beat up, so I decided it was time for a good cleaning. All is took was laundry soap and elbow grease. 1. Clean and scrub the pot as best you can. 2. Fill the pot with water and add a tablespoon or so of laundry soap. 3. Put on stovetop and bring to a boil. 4. 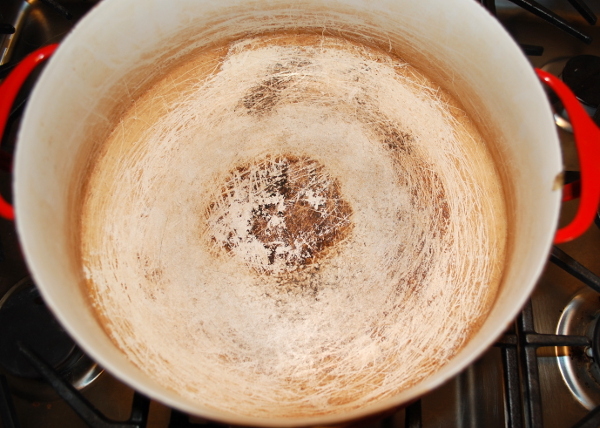 Let boil for 5 minutes. 5. 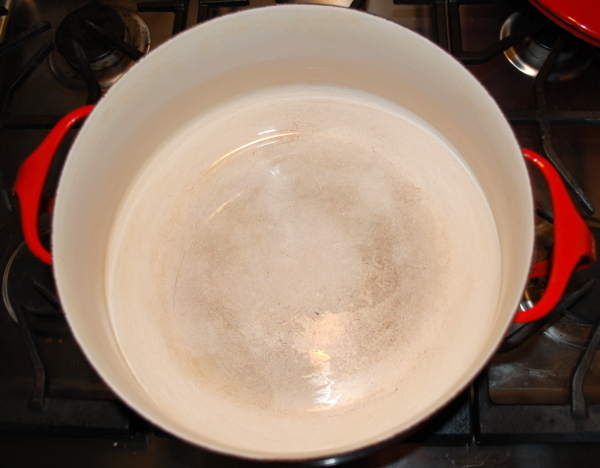 Take off the heat and scrub under running water while the pot is still warm. It will magically come clean. Liquid or powdered soap? Does it matter? Aimee, good question. I used liquid. I doubt it would matter.